← Prayer: The Most Joyful Resolution! Do you care who wins the Super Bowl? If you live in Colorado or Washington State, chances are you do. The last professional sports team in Washington to win a championship was the Seattle Supersonics in 1979, years before many of today’s fans were born. Since then, not many of our teams have been very super. The Sonics themselves were moved to Oklahoma City and renamed in 2008, the winner’s banner going with them along with our shared memories. 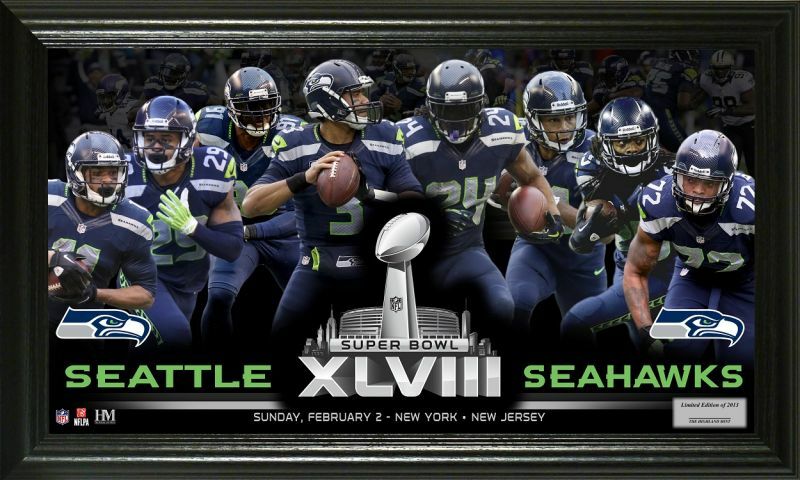 Add to that the fact that professional football is much more popular than professional basketball, the Super Bowl usually attracting more TV viewers than any other event during the year, and it’s no wonder that Seattle Seahawk fans are hungry for a victory in tomorrow’s big game! But here’s a more important question for you thinking Christians: Does God care who wins Super Bowl XLVIII? The short answer is: Yes! God cares about everything that takes place in His world. Psalm 24:1 says, “The earth is the Lord’s, and all it contains; the world and those who dwell in it.” Furthermore, Jesus made it clear that God is not a distant deity, as the Deists once claimed, winding His creation up like a watch and then leaving it to run on its own. God is intimately involved in every detail of life. Jesus said, “Are not two sparrows sold for a copper coin? And not one of them falls to the ground apart from your Father’s will.” (Matthew 10:29) How could we ever we imagine, then, that our Heavenly Father would not care about the outcome of something that affects as many lives as the Super Bowl? But let me take it a step further and point out one more fact. Not only does the Bible teach that God cares about everything that happens on this earth; He also “works all things together according to the counsel of His will.” (Ephesians 1:11) Consider Proverbs 16:33. It says: “The lot is cast into the lap, but its every decision is from the Lord.” That God might tip the balance in a game of inches with far-reaching consequences shouldn’t surprise us, especially when it impacts the lives of many He loves. For “we know that God causes all things to work together for good to those who love God, to those who are called according to His purpose.” (Romans 8:28) Weather conditions, fumbles, borderline calls by officials—could these “unpredictable” reflect the hand of God influencing the outcome of the game? But God’s purposes differ from ours. We root for the team we love to bring home the trophy. Nothing wrong with that! 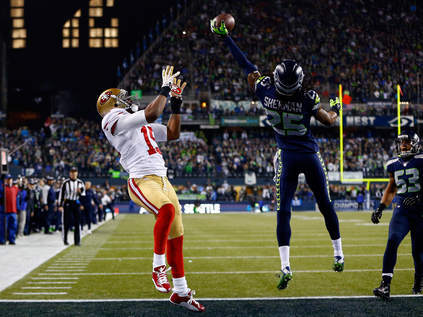 After 39 years of cheering for the Seahawks, I’ll be disappointed if they don’t. But our Father in Heaven isn’t concerned about earthly awards; what brings joy to His heart is to see the growth in our character. Romans 8:29 continues, “For those whom He foreknew, He also did predestinate to be conformed to the image of His Son.” That will be His aim tomorrow as He “works all things together” in the outcome of the game. His purpose will be to provide winning players with a platform to tell of His Son’s goodness, whereas the losing side, including its fans, can console themselves by seeking first His Kingdom and His righteousness, rejoicing that their names are written in Heaven. For both the Seahawks and Broncos have players, coaches, and thousands of fans who love Jesus or soon will because of His grace, the testimony of their players, and our prayers. I leave you with this Super Bowl challenge: Watch the game with both eyes open. Cheer for the team you love with all your heart. But at the same time, see if you can identify God’s purpose for the twists and turns and outcome of the game. 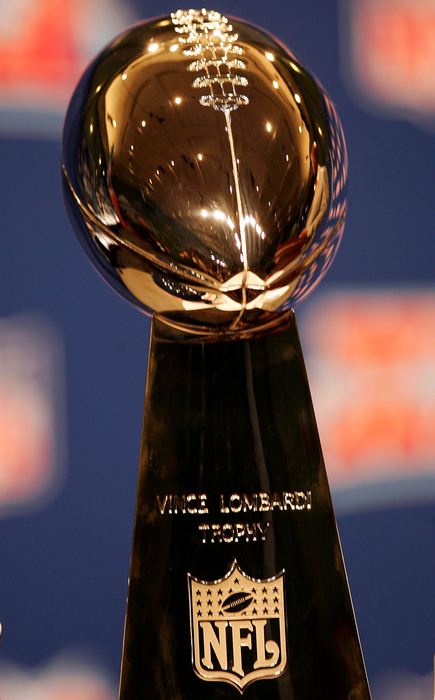 For there’s more at stake than the Lombardi trophy and bragging rights for the winning side! There’s a battle raging behind the scenes for the souls of both those who play and those who watch. Let’s pray that God’s saving purpose will be realized for everyone involved. For more information about how to begin a relationship with Jesus Christ, click this additional link and watch this 15-minute documentary produced by the Seahawk organization. In it, five Seahawk players and coaches explain how they came to know Jesus Christ in a personal way. It’s called “The Making of a Champion.” Better yet, if you have the technical capability, show it to your family and friends during the 29-minute halftime of tomorrow’s game. This entry was posted in Uncategorized and tagged Christ, football, fumble, Jesus, officials, Russell Wilson, Seahawks, Super Bowl. Bookmark the permalink. Really enjoyed the video, “Why Jesus is better than the Superbowl Ring.” They all had some really good things to say, however, Rocky Seto, Coaching Staff, made the best point of all. He said, “…cause you’re gonna wake up the next day and things are going to be the same if you don’t have Jesus. If you have Jesus, it’s going to be awesome, win or lose.” How exciting to hear these guys, as Chris Maragos, Free Safety, said they “have reached, in the world, the pinnacle of their lives, how empty that is.” Being at the pinnacle of life is as empty as a dry well in the middle of a desert, and that’s how our lives are, constantly searching for something, not knowing exactly what it is we’re searching for, until someone introduces us to Jesus, all that He was, all that He is for us now, and all that He will be for us for all eternity. Then the lightbulb above our heads, so to speak, turns on and we can then clearly see that He is what we’ve been searching for all along. Win or lose, we’re always a winner when we have Jesus! Thanks Gary. I have been thinking about this. I felt GOD would probably be angry with the way we act over this game. But you are right. He cares about all things. Thanks for your wisdom.